If you want to admire the Portfolino peninsula right from your bed, and sleep with the sound of the waves only, this is the right and unique place. 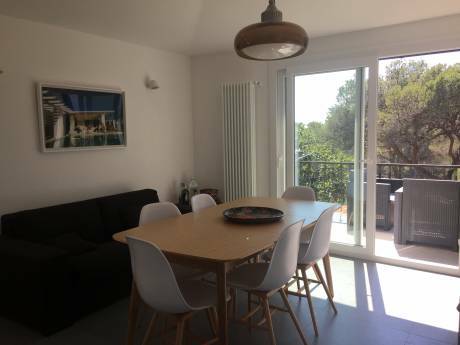 This is a 3-bedroom, 2-bathroom stunning home on two levels, right on the sea, with seaview from all rooms, balcony, kitchen, laundry room and living room. Home built in the 50s and part of a private gated community in a vertical park with pine trees right on the Ligurian sea. Porter, Private beach with Life guard on duty in the summer, kayaking available, parking place. 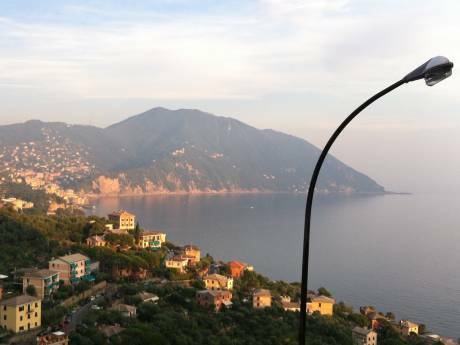 We are 20 minutes drive from Portofino, 15 minutes drive from Camogli, 30 minutes drive from Genova and its attractions. Excellent for families with kids.